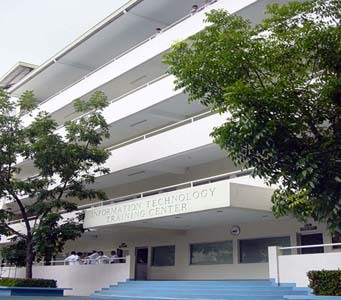 The College of Computer Studies envisions to emerge as the center of excellence in IT education, research and community service in the region. It aims to develop professionals who are globally competitive, socially responsible and dedicated to the advancement of the IT industry in the country and in the world. Instill in the minds of the students a high degree of professionalism and moral values necessary in the practice of profession. Center of Excellence in I.T. Education. Wireless Fidelity (Wi-Fi) Access Points.